If you haven't seen Mary and Max yet go watch it now, if you have then you'll understand why I just had to share this. 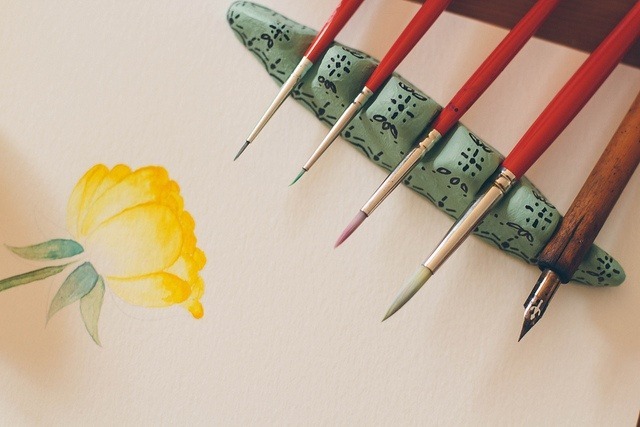 This DIY brush holder is absolutely lovely, perfect for the artistic person if your life. I might make my own set for my make-up brushes. 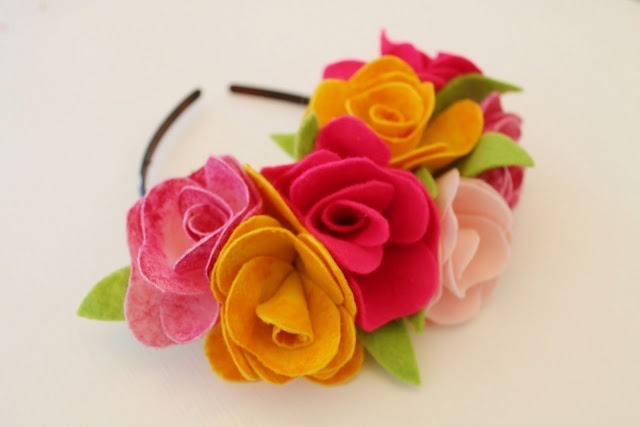 These paper flowers are absolutely beautiful, and come with a free printable template. 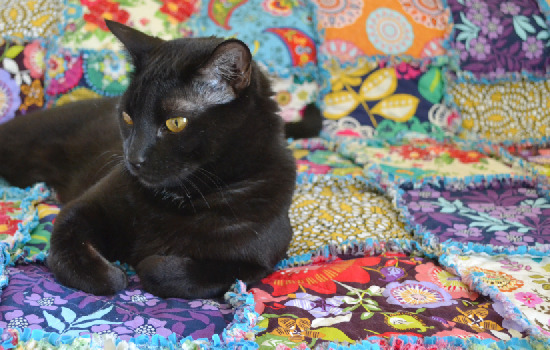 I'm meant to be telling you about Allison's awesome frayed edge quilt tutorial, but I'm totally distracted by how cute her cat is instead, oops. 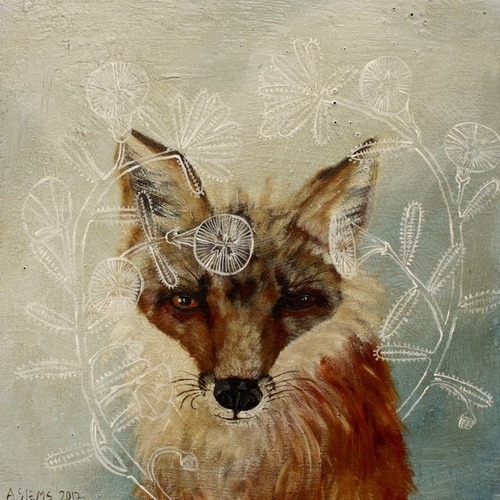 This fox by Anne Siems is beautiful! 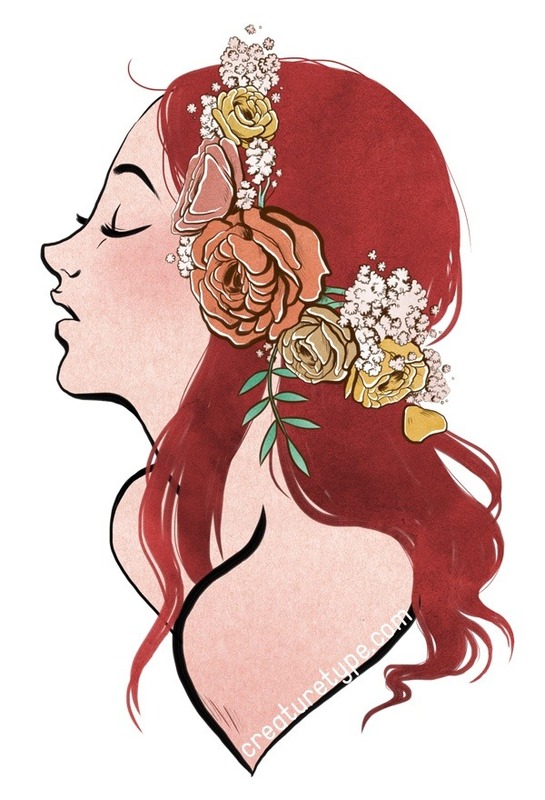 I'm absolutely in love with this illustration by Michelle of Creature Type, what is it about Spring and floral headbands? Luckily I can try making my own with this tutorial from Ally - isn't it gorgeous? 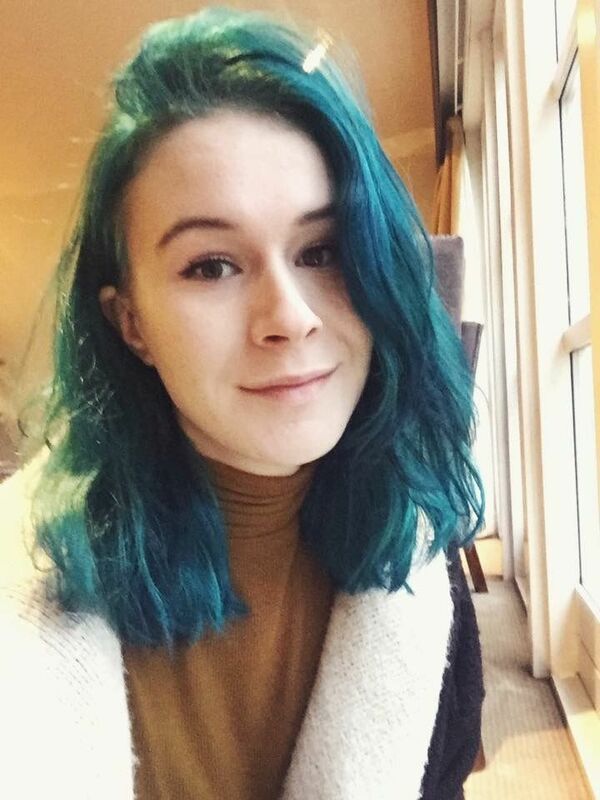 I know I shouldn't, because it would mean bleach again, but I really want red hair again. 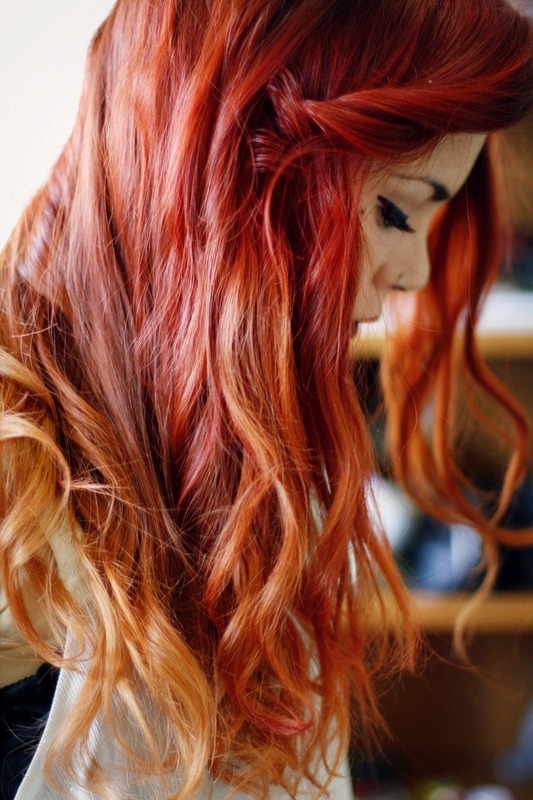 This ombre effect is stunning. 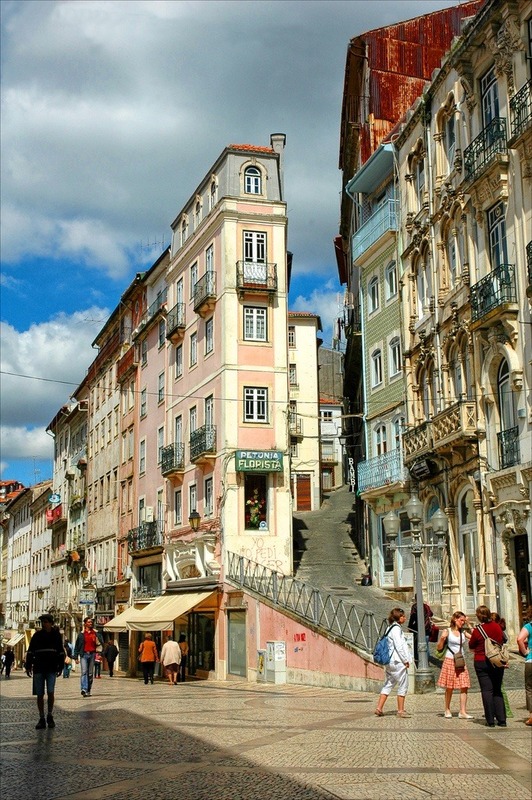 I love this photo, taken in Portugal. We're planning a trip for later this year and I cannot wait! Grow up with a kids' heart! Owning a Puppy on a Budget: Dogs are expensive, hairy and slobbery, but they are also amazing. I love Mrs Thrifty's advice on having a puppy on a budget, a must read if you are thinking of adding a little one to the family. 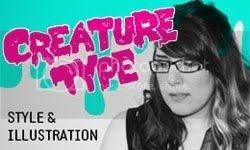 How To Successfully Pitch To Small Businesses: The whole blogger/advertiser dynamic baffles me at the best of times, and I always thought asking outright for free items was a bit brazen anyway, but if you are interested in approaching a small business (or any business) take these tips to heart! How To Avoid Your Creations Looking Handmade: I've finally started doing more than playing on my sewing machine, but I'm still too embarrassed to share anything with you guys because it looks seriously ratty. Maybe some of these tips will help. 15 Ways To Get Past An Awkward Moment: I'm easily amused, and naturally awkward, so I found this pretty funny. What Shakespeare, Marie Antoinette & Other Historical Figures Would Look Like Today: I love these updated portraits of historical figures - especially the one of Elizabeth I. All About Disclosing Sponsored Posts: I'm not in the US so the same laws don't apply to me, but isn't it just good manners to disclose if you are getting paid for a post and I had no idea that some search engines will penalize websites that don't disclose their affiliate links. Business Cards & Brooches: I seem to have a lot of serious blogging posts this week, but Danielle's business cards and brooches and absolutely adorable! They suit her so well! It's Ann: If you've been watching The Great British Sewing Bee you'll love this interview with Ann, and if you've not it's worth it just to hear some advice from someone with 75 years sewing experience! Thanks so much for sharing my rag quilt! Max is a little kitty stud and terribly photogenic :) I also LOVE Mary and Max. Did you know that it is loosely based off of the author's experience with an older, foreign penpal? Somewhere I read an interview with Philip Seymour Hoffman (who narrated the movie) saying that he got to meet the penpal in real life in his home and it turns outthey live fairly close together. Small world! 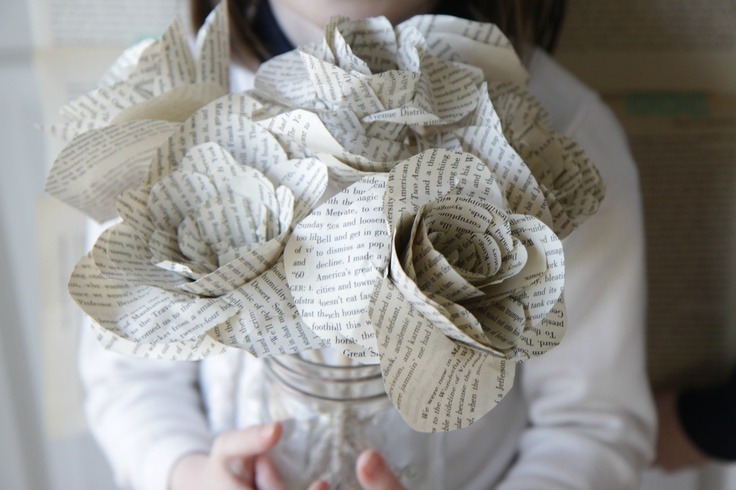 Some amazing DIYs here! Feeling very inspired now! Great list as always, I love the gifs about growing up with a kids heart. I have a cousin who is always whining about being an adult and I find it really frustrating. I know being an adult is hard but life is what you make of it so try to make it fun.